Do you remember your first bike? More importantly, do you remember how your first bike made you feel? Free... alive... powerful....independent... maybe even like a Superhero??? I sure can- not so much the bike itself (blue Schwinn), but more so the feeling of accomplishment learning to ride, the freedom of being able to get from place to place without a ride from Mom, the power in knowing I had earned my town’s “bicycle license” and could be trusted to make safe and smart decisions as I rode from place to place. Then and now, I believe bikes change lives and make the world a better place. As the Founder of PedalPower Kids, it is my mission to help every kid feel “Super” on their bike- Super Confident, Super Safe and Super Happy! Despite the many documented, research-backed benefits of bike riding, the number of children riding bikes for fun and to school has dropped dramatically in the last several decades all while we are dealing with tremendous increases in childhood obesity rates, mental health conditions, over-scheduled and overstressed kids, and disconnected communities. Sure, bikes won’t solve every problem we’re facing, but more kids on bikes can certainly make a dent in all of the above. At PedalPower Kids, getting more kids on bikes starts with providing high-quality, professional, encouraging instruction that builds confidence and trust. In my own experiences as a parent, and from what I hear daily from friends and customers, teaching your own child a new skill can be challenging and frustrating to put it mildly! PedalPower Kids Learn to Ride lessons, camps and group programs build lifelong riders because we use proven methods, personalized approaches to each learner and we have fun! I’ve been called the “Bike Whisperer” and “miracle worker” by many, which is very kind- but it’s our PedalPower Kids that really do the work- digging deep, facing fears and believing in themselves enough to keep trying, even after they fall. It’s a privilege beyond measure to be able to witness and I’m so very thankful for the many, many families who have trusted PedalPower Kids with their children’s bicycle education. Thank you for visiting. Please don’t ever hesitate to contact me for advice, tips, questions- anything I can do to get #morekidsonbikes! To be the trusted resource for kids and families for all things bicycling, from their first steps on a balance bike to traffic safety to racing skills, and a trusted resource for vetted gear, equipment, programs and events. To provide the highest quality education focused on boosting confidence and building safe, skilled and passionate riders. Every kid is unique, and our programs recognize the “awesome” in every kid, and teach in a manner that respects their unique abilities. Every kid deserves to ride. 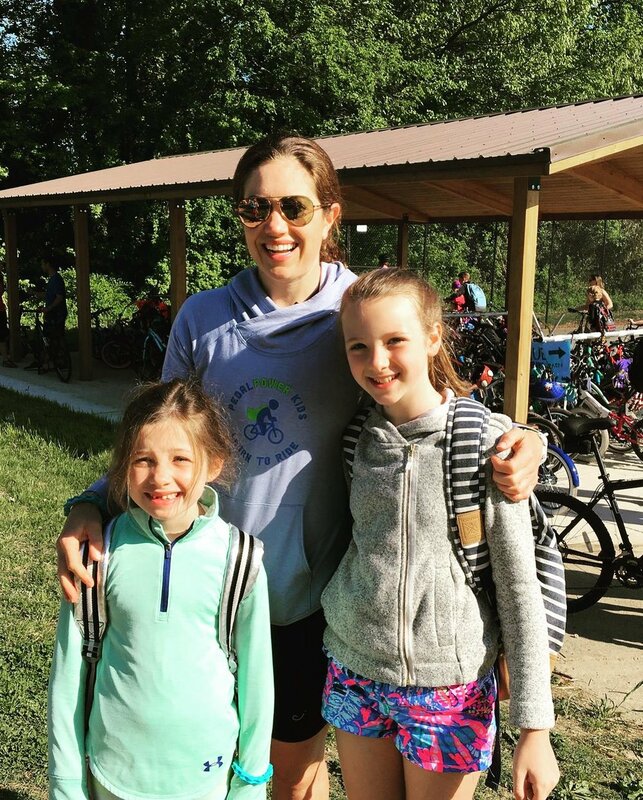 PedalPower Kids is committed to providing opportunities for all kids to learn and love cycling, and supports local and community organizations that further that goal. Every human should know how to ride a bicycle with confidence, safely. Every human behind a wheel or handlebars should respect other road users and obey traffic laws. We’re in this together- Share the Road. Life is better on two wheels. Families, neighbors and friends can connect freely and easily with each other and the natural world around them on a bike. PedalPower Kids is happy to support the following nonprofits and community partners through volunteer hours, event support and more. Together, we can get more kids on bikes if we work together to improve infrastructure and safe places to ride, educate kids so they can safely ride to school and elsewhere, and offer cycling sporting events for fun and competition.